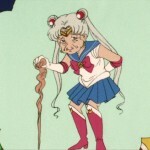 Today, June 30th, is Usagi’s birthday! As is often the case this meant a special live event was held in Japan. Many fans were hopeful to get some small tidbit of information about the upcoming two Sailor Moon Crystal films and we sure did get the smallest tidbit. Kazuko Tadano, character designer and animation director from the first two seasons of the original Sailor Moon anime as well as the Sailor Moon R movie, will be returning to be the animation director for the 4th story arc of Sailor Moon Crystal! As we have previously learned the Dream arc of Sailor Moon Crystal won’t be individual episodes as we had in the past but it will instead be two theatrically released movies. Not much else of interest seems to have been revealed today. This news was confirmed on the official Sailor Moon site. Kazuko Tadano does fantastic work. 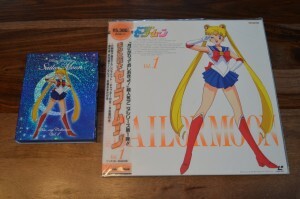 The box art she did for the Sailor Moon laserdiscs is still used in releases in Japan to this day. 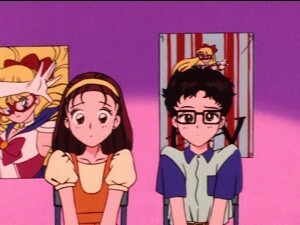 Her designs from the first two seasons of the anime are the image of Sailor Moon that most people remember and certainly the one I have the most nostalgia for. The episodes she was animation director for are some of the best looking episodes of the series. I am looking forward to seeing what this new season will look like! I just wish we had a better idea of just when this would finally be released! Until then, we will just have to be patient. If nothing else this is some indication that things are progressing on the series. All indications seem to be that this is happening and fans should be used to waiting at this point. It has been over two years since the last episode of Sailor Moon Crystal aired. Let’s hope we don’t make it to three! Fans interesting in watching the live event for Usagi’s birthday can check out this stream from the official Sailor Moon Twitter account. It includes a number of song performances, information presented by Fumio Osano and a teaser for the upcoming Sailor Moon Super Live musical. 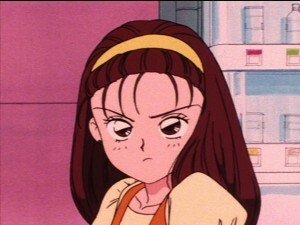 Kazuko Tadano and her husband Hiromi Matsushita were both animation directors during the early episodes of the original Sailor Moon anime. 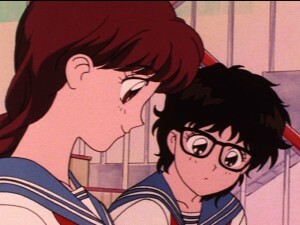 They both worked on episode 21, Protect the Children’s Dreams: Friendship Through Anime, in which a version of them appeared as the two primary characters in that episode, named Kazuko and Hiromi. I was lucky enough to meet them when they made an appearance at Otakon in 2008! I asked them a question about the episode but unfortunately due to technical issues with the video camera I used at the time, I lost the footage of that panel. When I asked the two to sign my Volume Infinity Art Book they were surprised I had such a thing. When I told Hiromi Matsushita what I’d paid for it he called me “rich man”. This is of course not true as a substantial portion of my income goes to Sailor Moon merchandise! 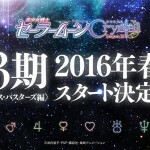 New episodes of Sailor Moon Crystal are coming this Spring. A new director and character designer have been announced. This entry was posted in Pretty Guardian Sailor Moon Crystal (2014), Sailor Moon Anime (1992) and tagged Kazuko Tadano, Sailor Moon Crystal Phase 4 - Dream, Sailor Moon episode 21 - Protect the Children’s Dreams: Friendship Through Anime by Adam. Bookmark the permalink. Will they be the same animated characters in the original anime? No, with modern animation, and no matter how different she makes them they will still be more faithful to manga and Crystal previous designs. The third season looked different. but the characters still were influenced by the initial Crystal designs. And at least we know the movies won’t be cancelled. I may be in the minority, but her designs are not my favorite. As bad as I initially felt about the third season’s designs, I actually think for certain things it captures the manga. 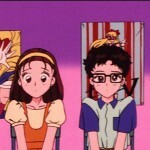 At the very least season 3 of crystal made them look like their age compared to even the 90’s anime which made them look much older. I mean there were worse character designers, but it would not have been my choice. I would have just chose someone new that would give it a different look. The last real episode of R is not what I would like to see. It has been ages, plus no matter she will still try to emulate the manga more. She is experienced, times have changes, it for sure won’t look anything like the 90s. 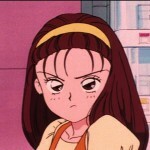 Plus she will take in consideration the previous character designs. Season 3 looks very different from 1 and 2 but you can see some of the stuff crossed over between the old and the new style. Tadano can be pretty versatile. 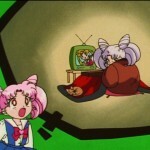 It is not pretty, but this is the last thing she did designs for https://www.youtube.com/watch?v=uDKqb9wE2Ns and as you can see it looks miles different than Sailor Moon/ Wedding Peach. I’m sure she can deliver I never liked the 3rd season designs, so I am glad they are changing them. I hope for something slightly more pretty and elegant as Season 3 mouths has always looked frogish to me and profile shots were quite ugly.